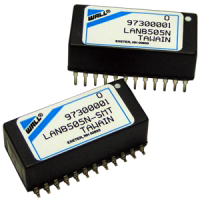 Whether your board requires an SMT or through-hole version dc/dc converter, the LAN B provides power and isolation for local area network (LAN) transceiver chips. The LAN B series is intended for ethernet, cheapernet or starlan local area network applications. 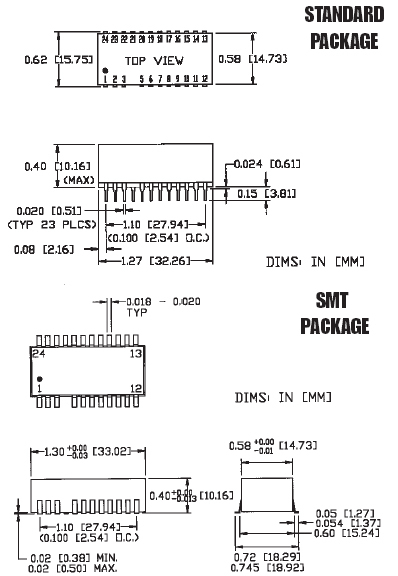 Notes: Add "SMT" to end of part number to indicate SMT package. All case and pin-to-case dimensions reference only unless otherwise noted. Highly isolated 2000V rms available consult factory.